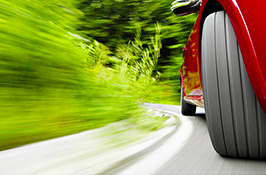 Specialists of "Roselectronics " took up the development of "smart" labels for the control of tires. The novelty will involve the technology of "Internet of things". Labels will be able to collect information about the condition of the tire – pressure, temperature, and calculate the exact mileage of each wheel. The data can be accessed via a mobile application or web interface. It is planned to bring the product to market by 2020. However, according to the General Director of "Intelligent transport technologies" Alexander Boreyko, introduction of "smart tires" can be associated with technical and legal issues. "The ability to make a sensor and insert it in this case into the tire should be linked and consistent with the requirements of legislation on the safety of vehicle structures, industry and corporate regulations. We believe that the implementation of the initiative is primarily legal in nature, and not technical", - explained Boreyko. Also the expert noted that "state funding for compensation of these costs is possible if these sensors are elements of some, new public services (as yet no information). Payment of costs at the expense of business is a financial burden, which can be in this case (in the absence of legal requirements for mandatory equipment of such sensors) only on a voluntary basis".